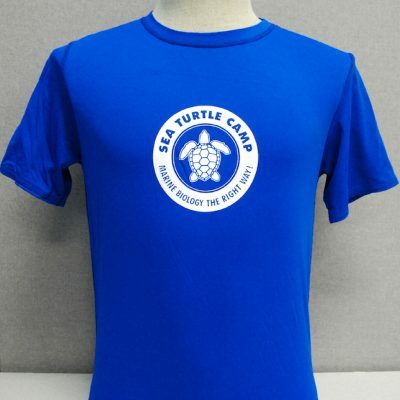 Sea Turtle Camp logo on the front, center. “I Heart Sea Turtles!” logo on the back. spf 50 UV protectant.